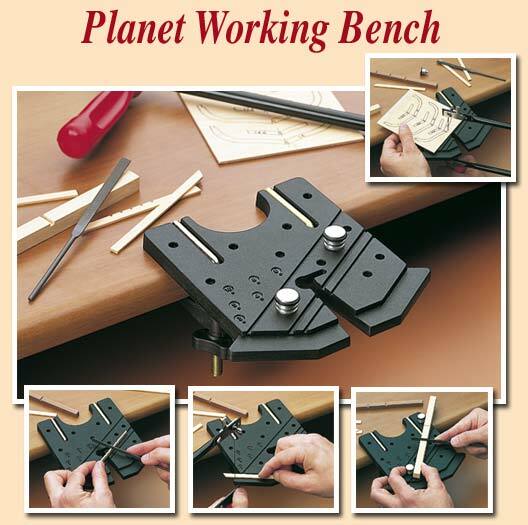 Amati 7396 Planet Work Bench! This tool is perfect for sawing, filing, drilling and achieving all details. It is made in unbreakable material and it features special aluminium pegs. You can fix it to your bench with the two provided clamps. Useful rotating vises (ref. 7396/01) are available separately.